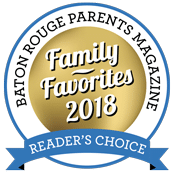 Combining new technology with a commitment to quality and patient comfort, Baton Rouge orthodontist Dr. Joseph Porter and his professional team strive to make your orthodontic experience both pleasant and rewarding from the first moment you walk into their office and through your entire orthodontic experience. Our goal is to provide the highest quality, orthodontic treatment for all our patients with a personal touch in a supportive and caring environment. We love what we do and it shows! Visiting the orthodontist is very different than it has been in the past. 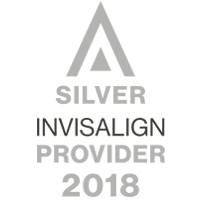 There are many treatment options available today, including state of the art Damon metal and clear braces and nearly invisible aligners called Invisalign and Invisalign Teen. Choosing the right orthodontist and type of orthodontic care is just the start when creating your smile. Our practice is not only focused on you achieving a beautiful and healthy smile but also providing you with the highest level of patient care in the Baton Rouge area. We do our best to make orthodontic treatment affordable for everyone. Multiple payment options are available with interest-free financing and multiple family member discounts. We understand busy lifestyles and are respectful of your appointment time. We do our best to stay on time so you can too. Porter Orthodontics offers leading edge orthodontic care in a state-of-the-art facility that caters to the personalized needs of patients of all ages in the Baton Rouge area. 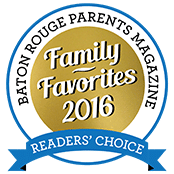 Find out for yourself why Dr. Joey Porter is your best orthodontist choice in Baton Rouge and Central City, Louisiana. Also serving the areas of Prairieville, Brusly, Port Allen, Denham Springs, and Gonzales. The service here is top notch. The staff does an amazing job scheduling appointments as I've been going here for a year and have never had to wait for service. They are always on time, they know who you are and they are friendly. I would highly recommend their service to any destined for a braces sentence. We love Dr. Porter and his staff. They are always SO friendly and know my child by name. But it is not just my child - they greet all patients by name and with a smile. My daughter never complains about going to the office. The best is she is intrigued by the way her teeth are moving and the science behind it. She knows the exact routine from signing in when we arrive to collecting her bucks! The office is peaceful allowing me to get some work done while she is back. They are always on time - which is very appreciated. I would recommend Dr. Porter to any and all ... and so would my daughter! Dr. Porter and his staff have always welcomed me with open arms. They make sure to explain everything thoroughly when dealing with your braces, and always answer any questions. I like how they send out emails and reminders of your appointments. In all, they are great and friendly people. Dr. Porter and his staff have always given me the attention that I would want during any treatment. They provide a significant amount of information on the care and maintenance of your braces. The doctor and his staff are very fun to be around and the atmosphere is always pleasant. I enjoy having Dr. Porter as my orthodontist and would recommend his office to everyone. Dr. Porter and his staff are understanding and accommodating, and always treat each patient with care. From the moment I step into the office, I am greeted by name, and always asked how I am doing. I feel like a friend, not just a patient when I am here. The atmosphere is always warm, and I hardly ever have to wait in the lobby. I’m very pleased with his work, and he hasn’t even finished with me yet! Dr. Porter and his staff are always willing to work with your schedule to make your appointments as convenient as possible. His staff has been very helpful and can answer any questions you have. I am very satisfied with the treatment I have received and would recommend his office to anyone. Dr. Porters office has state-of-the-art technology, which makes me feel that my daughter was receiving the best treatment available. She always felt comfortable during her visits and always knew what was going on. 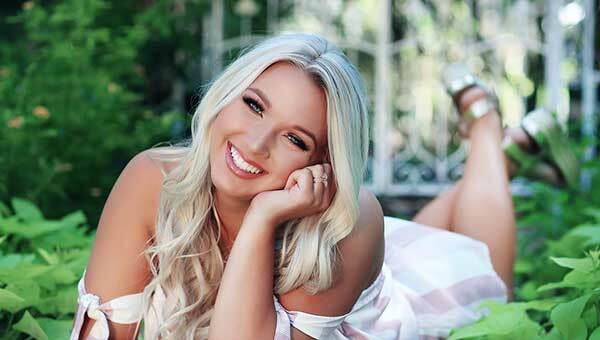 My daughter’s beautiful smile reflects the knowledge and skillfulness of Dr. Porter and his staff! Dr. Porter is very professional and always explains what he is doing not only to the patient, but in my case, the parent as well. His staff is very sweet and always willing to make the process as easy as possible. Thank you for everything you have done in our three years of treatment! Dr. Porter and his staff are very comforting and it was always easy to run in and out. I have a very busy schedule and never had to wait. They are very understanding of others schedules. I would recommend this office to anyone because my teeth look awesome! I love how they send a reminder email for your next appointment.